We talk to choreographers Roberto Campanella and Robert Glumbek about, Figaro 2.0, a new ballet based on Mozart’s classic opera happening now at ProArteDanza. Founded in 2004, ProArteDanza (For the Art of Dance) is considered one of Canada’s finest small-scale contemporary ballet companies. Artistic director Roberto Campanella and artistic associate Robert Glumbek have been choreographing, singly and together, for many years. Their first full-length company work, Figaro 2.0, which kicks off the ProArte season, has been inspired by Mozart’s evergreen opera. Italian-born Campanella, 50, came to Toronto to join the National Ballet of Canada in 1993. Polish-born Glumbek, 54, defected from the Warsaw Ballet after a performance at Hamilton Place in 1987. The signature of the acclaimed ProArteDanza repertoire is a fusion between the men’s classical ballet training, and modern and urban dance. Campanella and Glumbek won a Dora Mavor Moore Award for Outstanding Choreography for …In Between… in 2010. Ludwig Van: Where did the idea for doing a ballet based on The Marriage of Figaro come from? Roberto Campanella: Two years ago, we were at a New Year’s Eve celebration at Robert’s house, and we were listening to a recording of the opera. I had wanted to do a fun, light-hearted project for a long time, and I thought this would be a good subject. Robert Glumbek: We generally choreograph short abstract or thematic works. 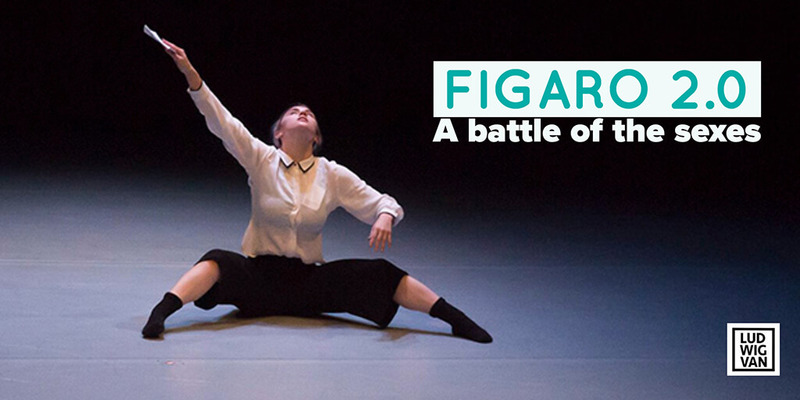 Figaro would challenge us to create a story ballet. Carrying a full-length piece would also be a different experience for our dancers. Ludwig Van: What was the greatest obstacle you faced in translating the opera to dance? Roberto Campanella: Figaro is a three-hour opera, but it was never going to be a three-hour dance piece. That’s why we say that Figaro 2:0 is “inspired by” or “based upon”. We had to peel it apart like an orange, break it down. That was our discovery process. John Ottmann functioned at dramaturge for Figaro. He’s a dancer/choreographer who just graduated with an MFA Degree in Dramaturgy for Dance from York University. Robert Glumbek: Our main obstacle was to distil and condense the complex plot to find a 70-minute ballet with an intermission. We have a cast of nine – Figaro, Suzanna, the Count and Countess, Marcellina and Dr. Bartolo, and three dancers we call the Chorus. Our concentration is on the main plotline of the opera. It’s our own up-to-date version of the story, so that’s why the title is Figaro 2.0. Ludwig Van: What is the function of the Chorus? Roberto Campanella: They are the connective tissue. They help the audience focus on what is important. It’s like following the rabbit in Alice in Wonderland down the rabbit hole. They are our constant in the piece. Robert Glumbek: They wear masks, so they are clearly not human characters. They also support the story, like mirroring the Countess’ despair, for example. Ludwig Van: Why is Marcellina performed by a male dancer? Robert Glumbek: The idea came from the Cherubino idea. Why not a woman/man? It opened up another layer in the character, and we were excited to explore where it would take us. Ludwig Van: Did creating a story ballet impact on how you worked with the dancers? Roberto Campanella: The choreographic process was very different this time. We had a workshop where we gave them context – telling them that this is who you are – and they would then make up movement material. We wanted them to get acquainted with their characters, which would give the dance its structure. Robert Glumbek: Not only did the workshop help them find their own way of getting into their roles, it also helped define the movement of those roles. We owe the dancers a lot in the creation of this piece. Ludwig Van: Robert, you are dancing Bartolo. How did this affect the co-choreography? Robert Glumbek: Obviously, the parts where I’m inside the dance, I couldn’t see to the outside. Roberto had to function as a director. He had to shape the movement. Overall, he has given the work its coherence and organization. Ludwig Van: You don’t have the use of text. Have you used any other devices to help explain the story beyond movement? Roberto Campanella: We’re using projections in various ways. For example, we give a Who’s Who of the characters. We show Suzanna’s letter to the count. We also have a montage like a silent movie that shows the characters getting ready for the garden scene finale. 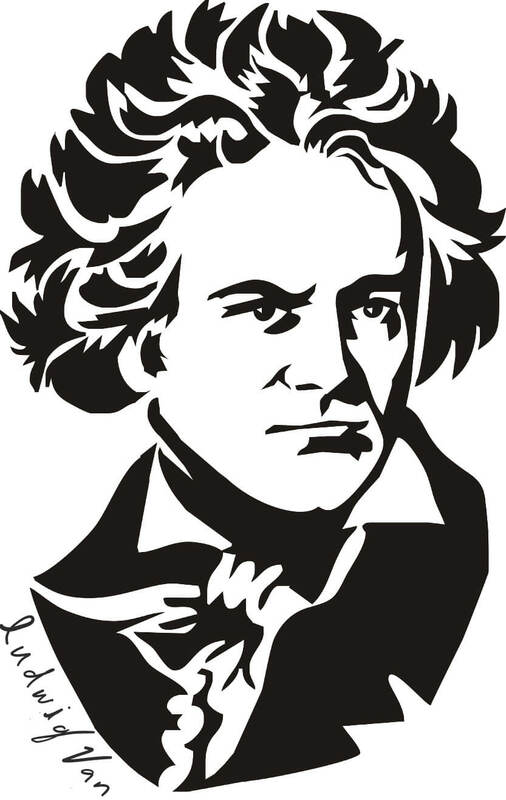 Ludwig Van: Although you use the music from The Marriage of Figaro as your baseline, it appears you’ve augmented it. Roberto Campanella: Because it’s our 2.0 version, we were always going to use more than the music of the opera. We hired Normand Babin to be our music consultant, and Greg Harrison to compose transitional music. Babin is a highly regarded accompanist for ballet classes, so he knows and understands dance. He helped us find the additional music. Greg’s electronica sound design helps to separate the different scenes. His music functions as a cinematic score. Ludwig Van: Could you explain further about Babin’s role as music consultant? Robert Glumbek: He helped with research by giving us three different recordings of the opera to listen to, and we chose the Chamber Orchestra of Europe conducted by Yannick Nézet-Séguin. We felt it had more body and weight than the other recordings, which seemed somehow lighter. The minute we heard it, we knew that it was the one we were going to use. Our main story focus is on the Count’s behaviour, so we’ve manipulated the music to reflect his dark side. The impact of the score is more film noir, particularly the second act. Roberto Campanella: Normand helped us find Mozart’s Piano Concerto No. 20, and Symphony No. 40 which are also part of the score. From the opera, we use the overture and the solo arias, but no recitative. 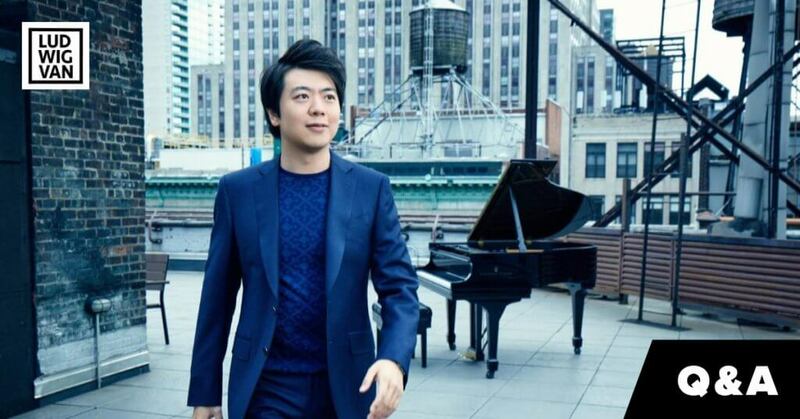 Ludwig Van: What has the experience been like creating Figaro 2.0? Roberto Campanella: It became a huge beast that we didn’t predict — a huge undertaking. We’ve had to dig into the construction of how to create a story for dance. Dance steps are the tools that free the dance artist to tell the story. It is more than just movement to music. Robert Glumbek: In the end, our main objective was to show on stage the emotional narratives that underpin the story. ProArteDanza’s Figaro 2.0 runs at Harbourfront’s Fleck Dance Theatre, Nov. 1 to Nov. 10, 2018. Tickets available at 416-973-4000 or proartedanza.com. Paula Citron is a Toronto-based freelance arts journalist and broadcaster who hosts her own website, paulacitron.ca. For over 25 years, she was senior dance writer for The Globe and Mail, associate editor of Opera Canada magazine, arts reviewer for Classical 96.3 FM, and dance previews contributor to Toronto Life magazine. 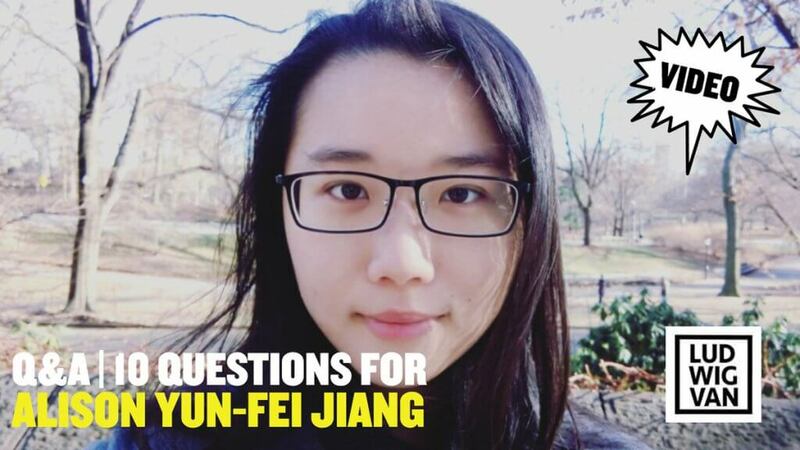 She has been a guest lecturer for various cultural groups and universities, particularly on the role of the critic/reviewer, and has been a panellist on COC podcasts. Before assuming a full-time journalism career, Ms. Citron was a member of the drama department of the Claude Watson School for the Arts. 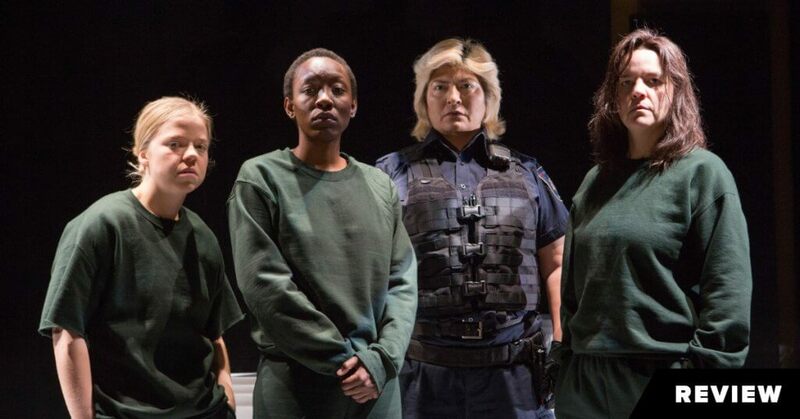 Corbeil-Coleman’s provocative Guarded Girls is an important play that addresses serious issues. It’s only at the end that you realize just how ironic the title is.